... 2002, was adopted U.N. Security Council Resolution 1441 on "The situation between Iraq and Kuwait." The unanimous resolution recalled prior resolutions on Iraq that dated to 1990 and the 1st war in the Persian Gulf, and decided that Iraq had been in "material breach" of some of those resolutions dealing with weapons inspections. 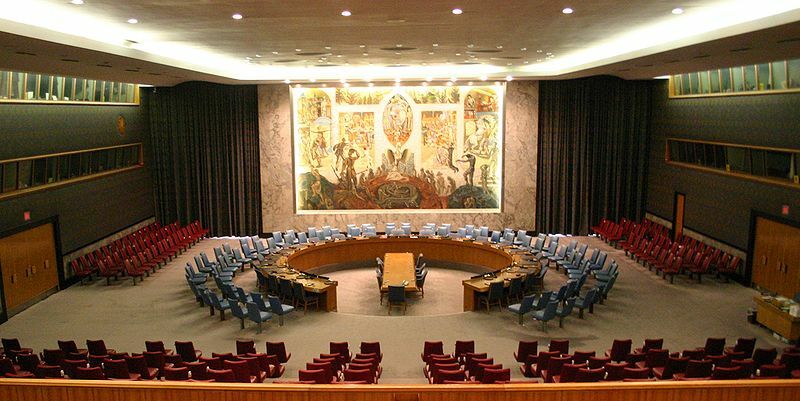 (credit for photo of Security Council chamber) It accorded the country "a final opportunity" to comply, and to that end ordered an "enhanced inspection regime." The following February, the United States would urge Security Council intervention; when that effort failed, the United States led an intervention by "coalition of the willing." (IntLawGrrls posts on that Iraq War available here.) A couple weeks ago, President Barack Obama announced that all U.S. troops will be withdrawn from Iraq by the end of this year.